This is the forty-fifth episode in the 1980's series and was first broadcast in Japan on November 4, 1981. Uran‘s at it again! This time my sister’s curiosity gets the better of her and she goes on a mad search to find where God lives. I can’t tell her. Mom and Dad don’t know. Not even Dr Elefun knows. So what’s left? An amusement park computer, of course. She asks it where God lives and that’s where the trouble starts. From trap doors to a room full or mirrors, follow Uran in her search. Uran and her human friend Maurie meet at a department store. Maurie remarks that robots and escalators are similar because they are both machines. She also finds no difference between Uran and robot toys. An offended Uran in return compares humans with cockroaches, demolishing a portion of the store while chasing one. Maurie’s father comes to Astro‘s house complaining about Uran’s comparison. Astro infuriates him even more by explaining that humans, cockroaches and robots are all similar because they are made of atoms. Maurie’s father leaves the house as Astro’s parents express how sorry they are. Astro and his parents tell Uran that robots are not supposed to talk back to humans since many humans view themselves as superior, being the ones who created robots. Uran then asks who created humans and Astro explains he heard they have been created by God. Uran decides to search for God. Dr. Elefun explains he believes that God lives in the heart. Unsatisfied, Uran goes to the library, where she learns there are many human Gods. Confused, she decides to search for the robot God instead. A child who overhears her suggests she could ask Dr. Zar at Children’s Land, an amusement park. Dr. Zar is an artificial intelligence designed to answer every question. Uran asks him where is the robot God. An embarrassed Dr. Zar decides he is the robot God, but Uran will not believe him. To prove himself, Dr. Zar takes control of all the rides at the amusement park, which become dangerous to their passengers, including Uran. Astro, who was looking for his sister, hears her screams through his magnified hearing and rescues everybody in the amusement park. He then attempts to shut down Dr. Zar, who starts fighthing them as long as Uran and Astro will not recognize him as God. He sends Uran and Astro in the basement of the amusement park, where among other obstacles they find themselves into an Alice in Wonderland world, as well as a space chamber and a mirror chamber. After an exhausting battle, Astro finally manages to shut down Dr. Zar. While Dr. Elefun explains that God is a mystery that nobody can understand, Uran is joined by her friend Maurie. They resume playing together as the amusement park workers find the cause of Dr. Zar’s behavior: a short circuit that had been caused by a cockroach. 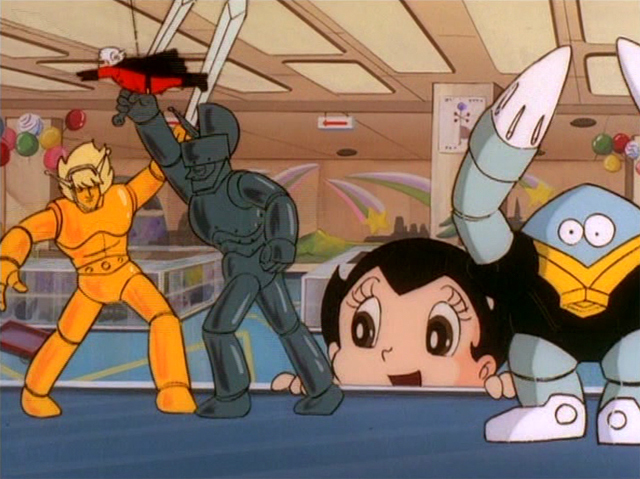 The title character from Tezuka’s Ambassador Magma (gold figure) is one of the two toys that attracts Uran and Maurie’s attention. The other one is V3 from Tezuka’s BIG X series. 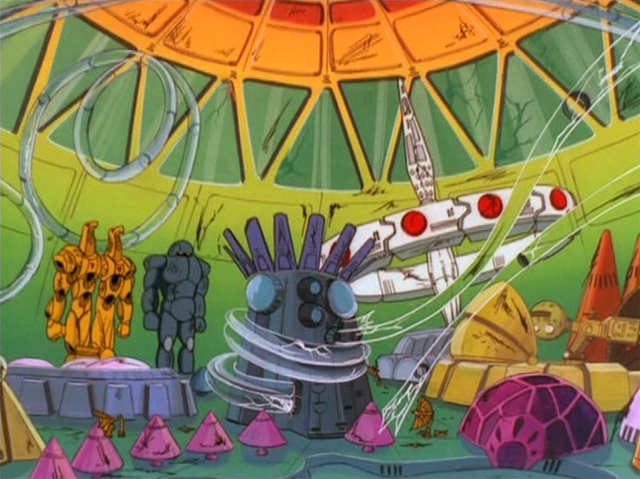 Bora, the powerful robot from the Greatest Robot in the World episode can be seen in the amusement park, side by side with his 1960 counterpart. While Uran is chasing the cockroach, among the toys, we can see Astro’s head on a spring, a recurring gag of the 1960 series. There is also hyotantsugi among the toys, and a doll representing Osamu Tezuka.